Check out the new additions to the World of Tanks range in the Wargaming Store! As our celebration of Tiger Month draws to a close, we have a brand new product to introduce to the range: the Tiger I Tankfest T-Shirt! Featuring the Tiger I in all its brutal elegance, this black t-shirt features a radical design, with the specifications of the tank emblazoned around the tank in pumpkin orange. This shirt was originally designed with tank fanatics at Tankfest 2017 in mind, and is perfect for fans of one of history's most famous vehicles! 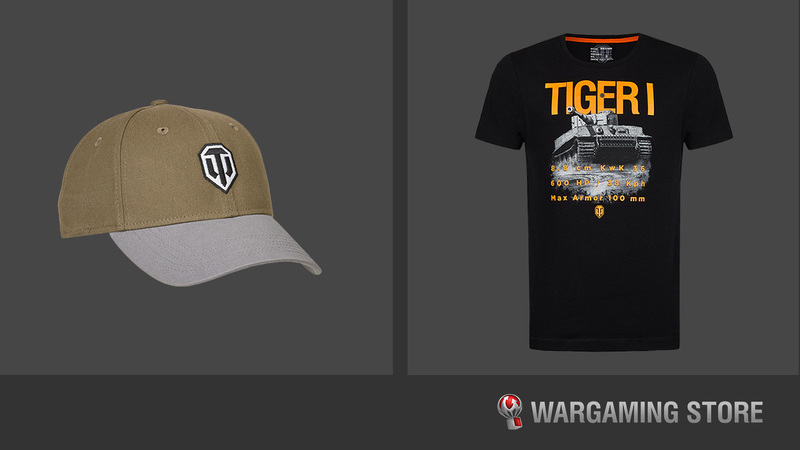 With summer in full swing, now’s the perfect time to grab a World of Tanks Cap! We can’t promise this khaki delight will conceal you from your enemies, but the World of Tanks logo on the front might help you make a few friends in fellow commanders!